Beautiful second floor, fully-furnished rental with private balcony and distant water views. 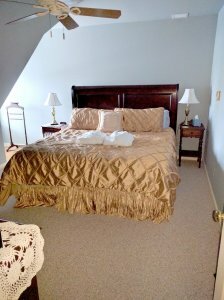 The two bedrooms (one king-sized/one queen-sized) each have their own private bathroom with bath and bed linens included. The one bedroom has one king bed and a private bathroom. They both offer a fully equipped kitchen and a large, private living room with one queen-size sofa bed. 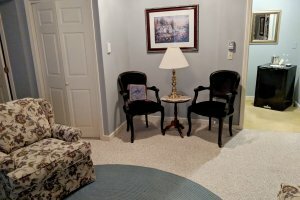 These private rentals are not part of Haven By The Sea's bed and breakfast, therefore breakfast and housekeeping, including trash removal, are not included. These are only a weekly rental available in the months of July and August. Maximum occupancy is 4 people, however, it can accommodate 6 people for a nominal fee. Completely non-smoking. 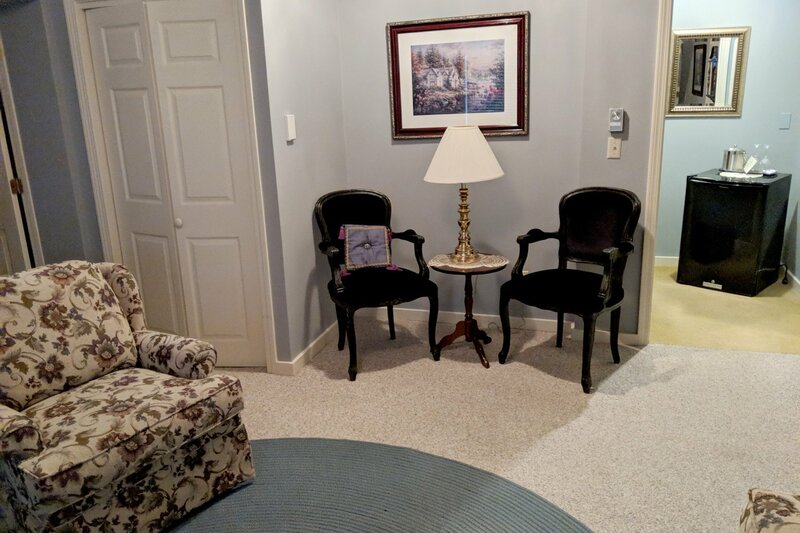 Central air-conditioning and free, wireless internet are included.